Please Note Special Start Time: 11:00 a.m. Healthy Snacks & refreshments welcomed. 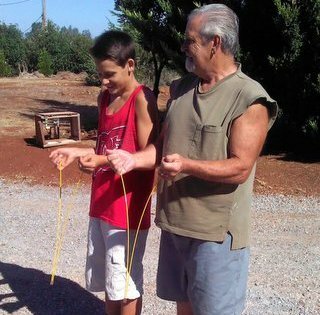 Mystery dowsing: – Is this good for me? Come Have Fun. 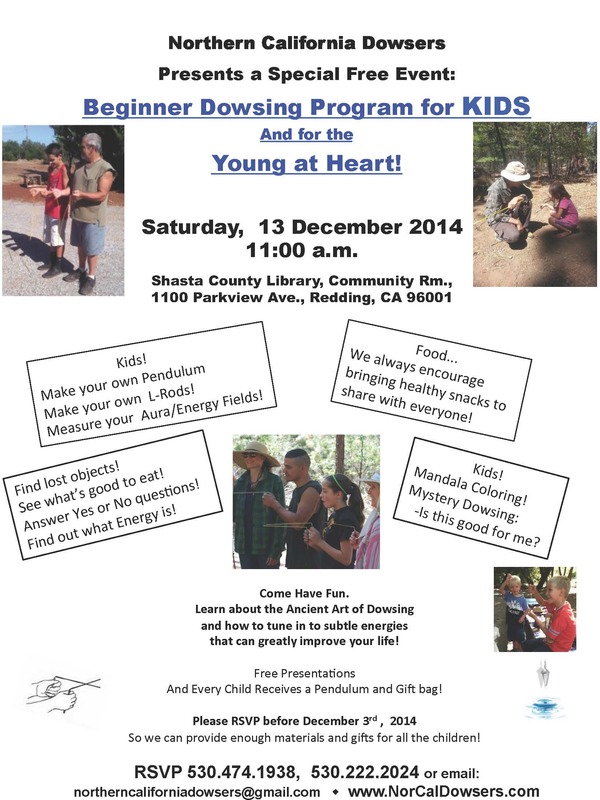 Learn about the Ancient Art of Dowsing and how to tune in to subtle energies that can greatly improve your life! Free Presentations And Every Child Receives a Pendulum and Gift bag! Please RSVP before December 3rd , 2014 So we can provide enough materials and gifts for all the children!